You are here: Home / News / Winner of the $500 gift card to any Horizon Goodwill store! Actress Ann Mahoney Kadar announces the winner of the #GoodwillGhoulishChallenge from the red carpet at the Same Kind of Different as Me event! Congrats to our winner, Pattie Estill! Patti won a $500 gift card that she can use at any Horizon Goodwill store! 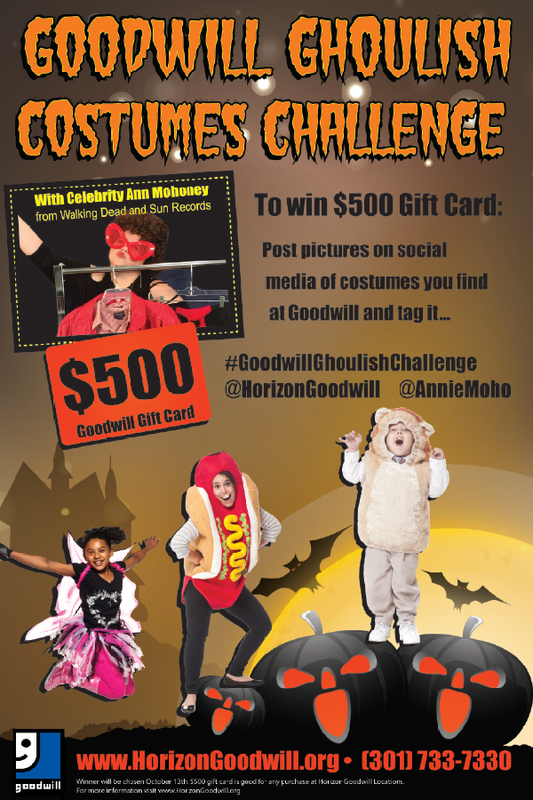 Contestants were required to create a costume from items they purchased from a Horizon Goodwill store, post their Ghoulish Costume on social media, and include an @HorizonGoodwill, @Anniemoho, and #GoodwillGhoulishChallenge tag. 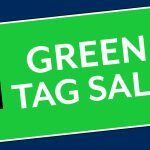 The winner was announced on October 12 at our Southend Shopping Center store during the “Ghosts, Goblins, and Goodwill” event hosted by GEN/NEXT. Big thank you to Actress Ann Mahoney from The Walking Dead for being a part of our Challenge!